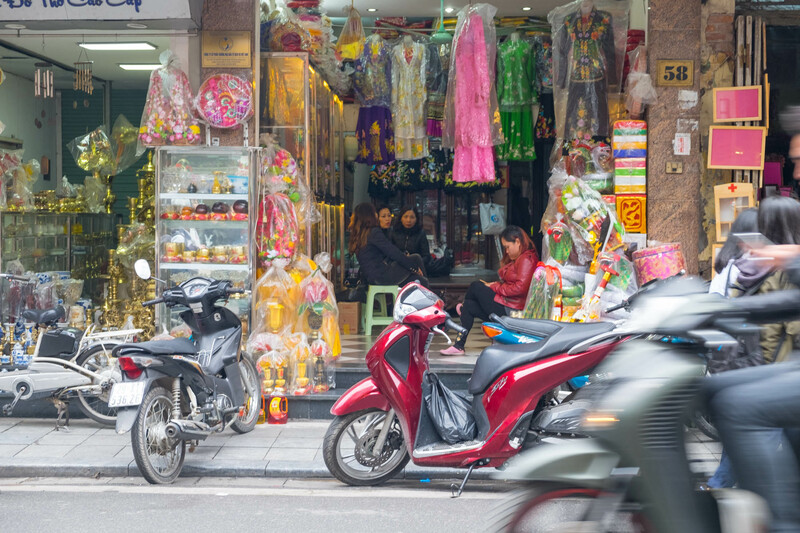 Getting lost in Vietnam's organised chaos. I’m not sure any Youtube clips or documentaries can quite prepare you for the madness of Hanoi’s streets. I wish I’d managed a photo but concentration was of the essence. We soon learnt you have to take a very slow and steady walk and hope for the best the traffic swerves you! Traffic lights are redundant. Zebra crossings are pointless. Direction of traffic is any way locals please. And paths are basically parking spaces. Nevertheless, I’m excited to get lost. 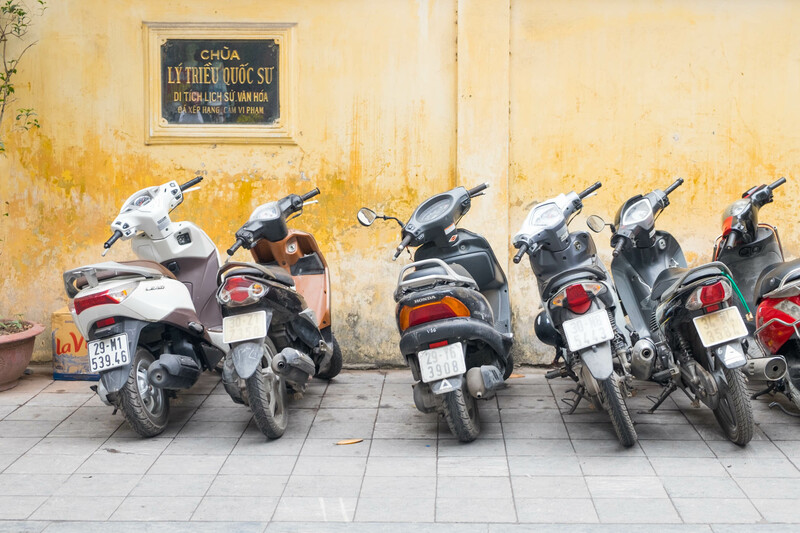 The city has more motorcycles than households. And it’s been named the worse city in Asia for air pollution. 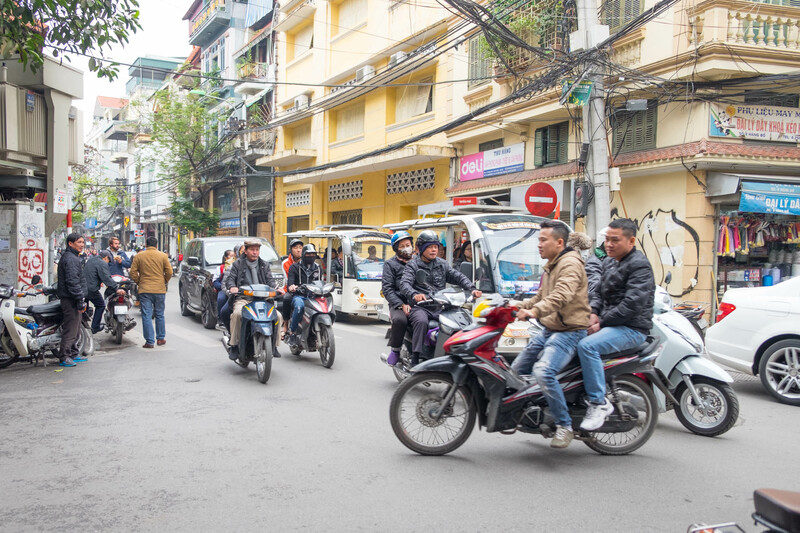 There are 4.9 million motorbikes / scooters on Hanoi roads… which is crazy when you consider their population is only 7.5 million! 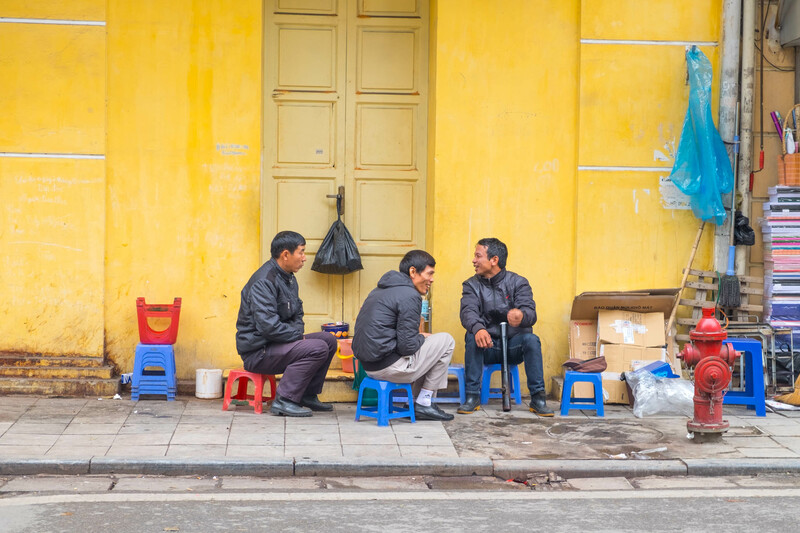 The old quarter is made up of alleys and side streets, that even if you could afford a car (for some reason it costs you twice as much to own a car in Vietnam than it would for you to own it in neighbouring Laos/Thailand) you’d never fit down the roads anyway. All the buildings are tall and narrow, generally one room wide and 4 / 5 floors high, because tax is based on the width of the property. The front part of the building is where the family meets and trading happens… everything from cottons, jewellery, herbs and silks. Traditionally they tended to be a one-shop house with many generations in, but I think these days many are divided into separate apartments. Shopping in the Old Quarter must be pretty easy for locals as everything is collected into streets. Which for us is a little strange as it means most shops sell exactly the same as their neighbours…. 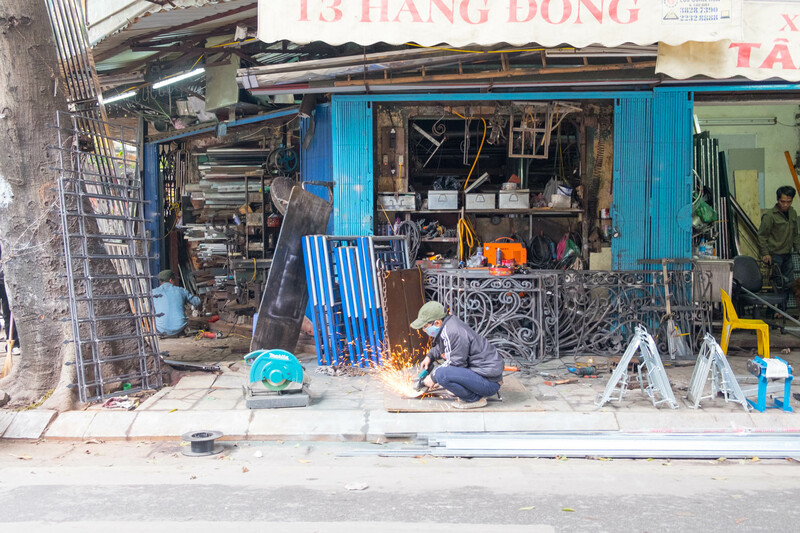 there’s a Silk Street, Paper Street, Shoe Street, Bamboo Ladder Street, and even a Metal Street (complete with welders on the pavement)… An amazing place to people watch and immerse yourself in local life. I love it. 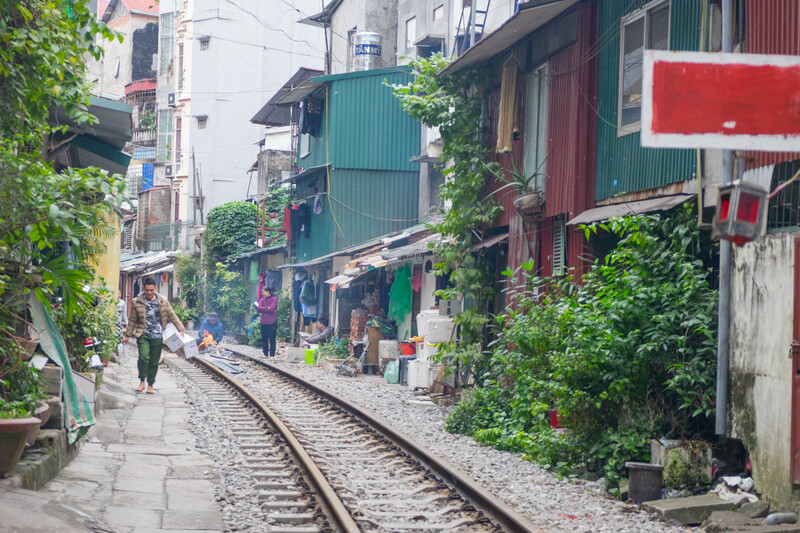 On searching for a bit of space we ventured out the Old Quarter to see some of the historic sights and learn more about Hanoi… including the discovery of a railway line that goes right down a residential street! It passes just twice a day, and I presume locals know the timetable like clockwork as at the time we crossed there was kids playing, ladies hanging washing and even a man making fire on the track. 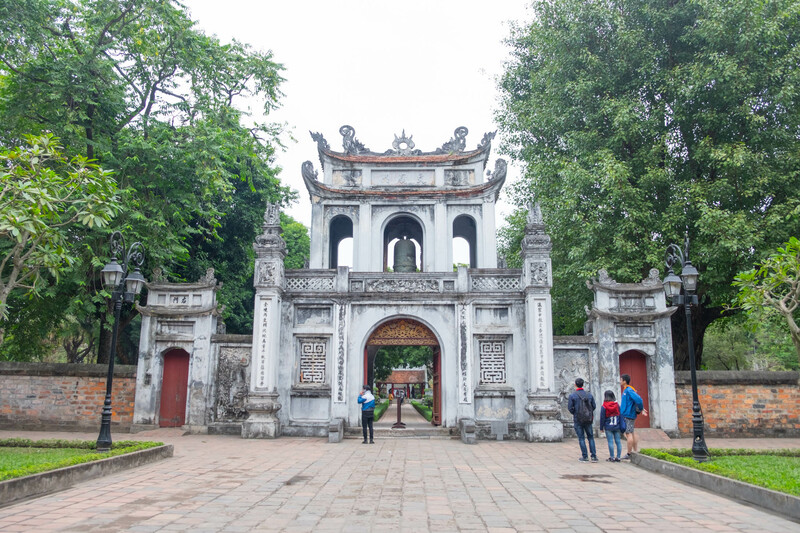 Our first stop was the Temple of Literature, which also hosts Vietnam’s first national university. We entered the beautiful gardens via the Great Gate which was indeed great! 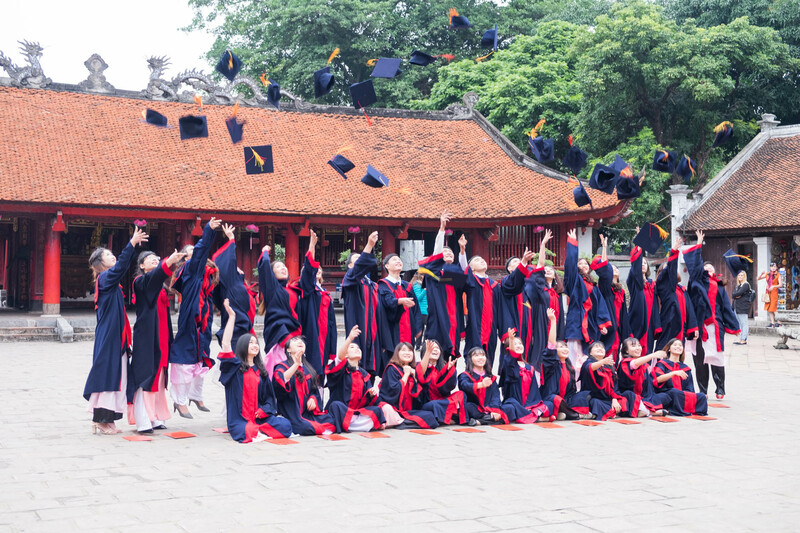 In the temple courtyard we spotted a group of young students having their graduation photos taken. It was pretty entertaining to see them throw their mortarboards in the air and watch as they land back down hitting each other! Such a beautiful setting with the pagodas, ponds and gardens. 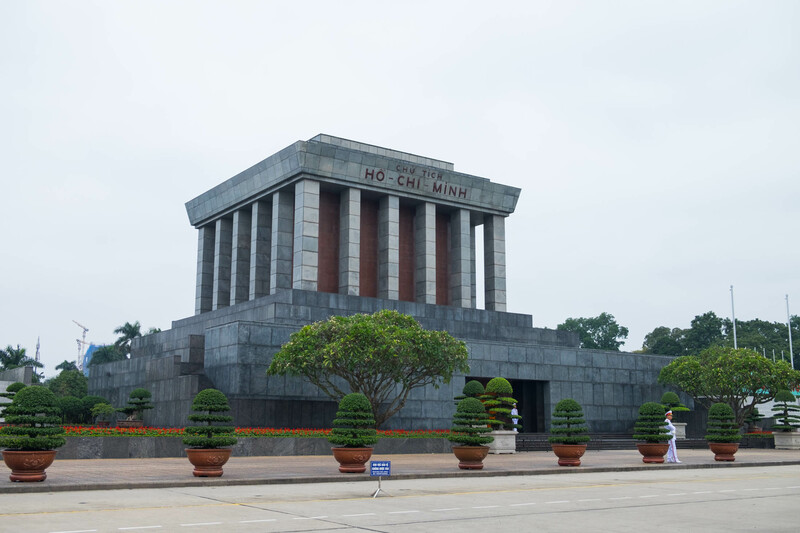 Just a short walk from the temple we come to Ho Chi Minh’s Mausoleum, the final resting place of the country’s revolutionary leader. 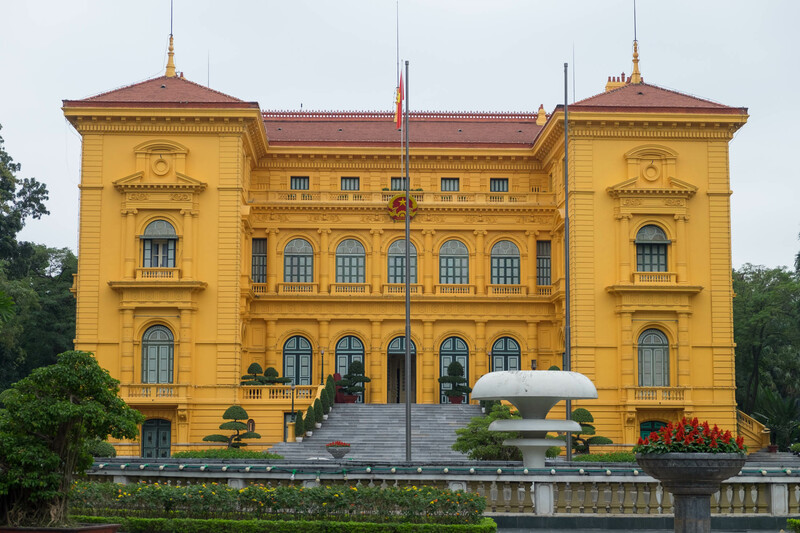 Built in Ba Dinh Square, it’s where he declared independence in 1945. The park is really open with wide boulevards, surrounded by grand palaces and ornate embassies. Although there is loads of guards everywhere telling you not to walk here and there! Oops.